The first quests that look at the main storyline of "Free Realms", Chapter 1 is an exciting quest series that introduces you and your character to the problems facing Free Realms. This isn't just a quest where you meet the heroes: this is a quest where you become the hero. The majority of the quest series is members-only. You can start the quests as a free member of "Free Realms", but in order to finish it, you will need a paid membership. Most of the quests reward Adventurer experience, a class that you begin with in "Free Realms" and requires no special equipment for. However, the quest series will require you sooner or later to use a combat job, preferably one that has been levelled to at least 15. Because a lot of travelling is involved, having a pet and completed the pet trainer quests for the 90% run speed is highly recommended. Warning: From this point on, this guide contains spoilers. Only read as far as you need to continue in the quest if you don't want to ruin the storyline for yourself. The Royal Courier. Located in the Greenwood Forest, west of the Lavender Coast Warpstone and south-east of the Archer camp, the Royal Courier will ask you to defeat the hooligans that stole his bag. Sal Monella. 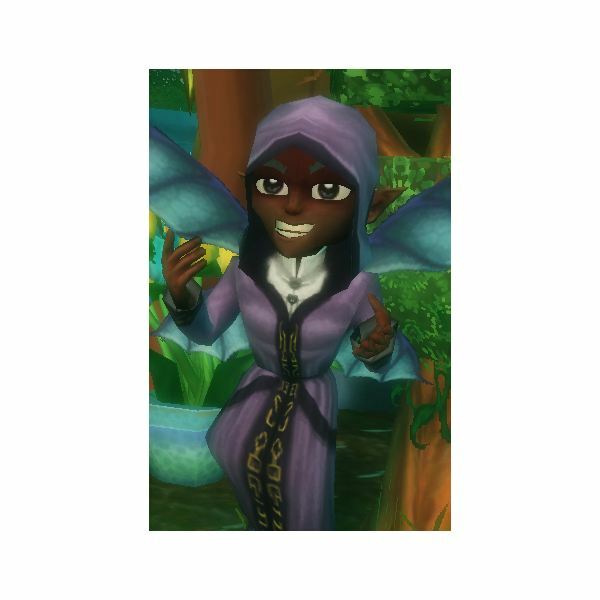 Located in Blackspore Swamp, Sal will simply ask you to head to visit the Queen. This quest may not be available to you depending on whether you've completed other quests from Sal before. Starshine. 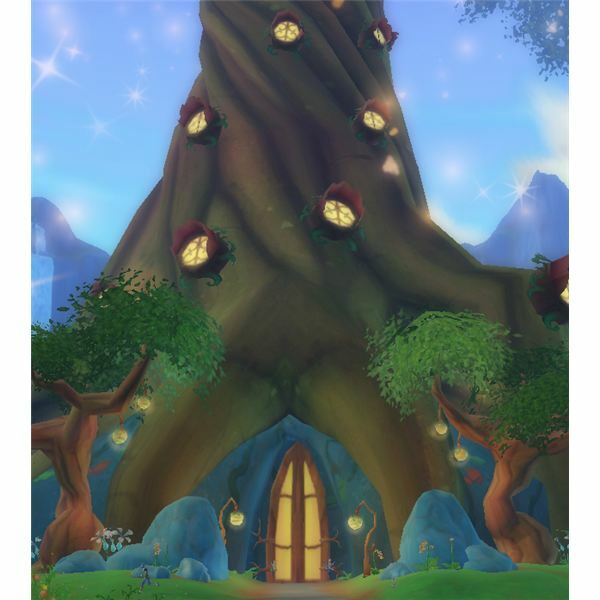 Located at the Pixie Nursery south-west of Wugachug, Starshine will also suggest you see the Queen. Like Sal, if you have not completed some of her quests, Starshine may not offer this quest to you. Sorin. Located in the crystal mines of Snowhill, Sorin will recommend that you visit the Queen – again, if you have completed some of his quests. Henry Farnum. Located at Farnum's Farm, south of Crossroads, you will also need to complete Henry's other quests before getting a recommendation. Because all recommendations except the Courier's require getting other quests done, some of which are also member-only, it is recommended to visit the Royal Courier. His quest does require combat, but is a non-member quest and will take less time investment than getting the recommendation from the other NPCs listed. 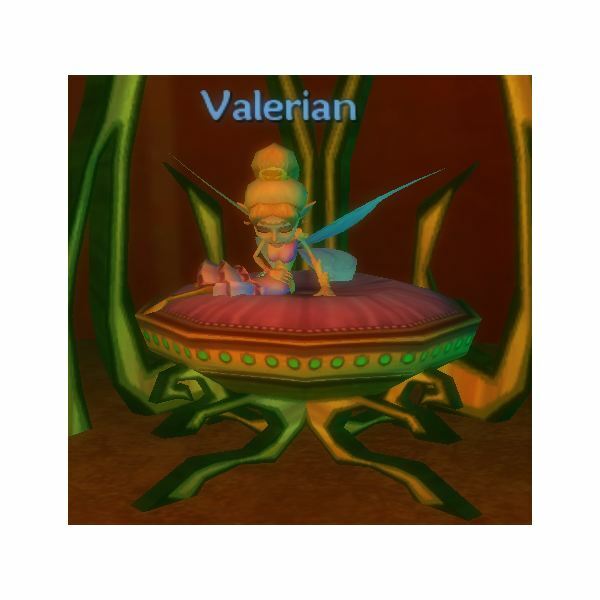 Regardless of who you talk to, they will give you a recommendation to go see Queen Valerian, located in the Royal Palace of Sanctuary, where the actual quest series will begin. When you arrive at the palace, the guards will tell you that no one is allowed inside without a pass. They refer you to Quills, a nearby pixie. When you speak with Quills, she'll tell you that maybe she can squeeze you in – in a few weeks! She lets you know that someone named Pux has already been waiting a week, and suggests you try to trade places in line with someone. Pux is just behind you, so turn around and talk to him. He'll give you his spot, if you will investigate a suspicious chugawug at Jacque's Cafe; he thinks she might be a danger to the Queen. Head down to cafe, and confront Bertaboo – who you'll find isn't doing anything wrong at all; in fact, she works there. Return and talk to Pux. He'll realize he made a mistake, and give you his number for the line to see the Queen. Return to Quills, who will give you a pass to go inside and see Queen Valerian! Click on the palace doors, and you'll be allowed inside. The Queen will be pleased that you're there to offer your services, and have you speak with Geoffery, the pixie to her left. Geoffery will inform you that two pixie girls went missing in the hills west of Queensfields, and give you the quest The Missing Sisters, asking for your help in searching for the girls. 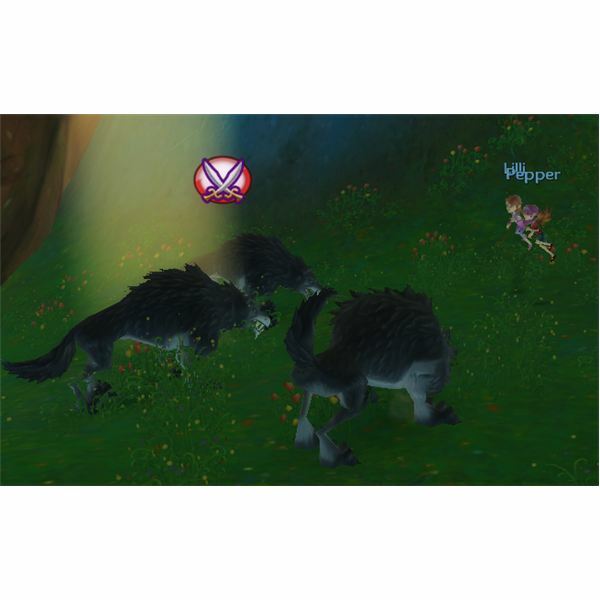 Head to the west of the Sanctuary Warpstone, past the pet training area, and speak with the search party. The guard in charge will send you to go searching for the girls in the hills. There are no quest paths to find the girls; just head into the hills behind the guard and follow the path around. Soon, you'll find two young pixies with three wolves threatening them. Put on your favorite combat job gear (such as the brawler) and defeat the wolves. Once saved, talk to each girl, who will thank you, and then head back to Geoffery in the Royal Palace. Geoffery rewards you for your heroism, and then offers you the quest Helping the Healers. Geoffery asks for your help collecting Ammi Lilies for the healers. You can find these lilies in the countryside around Sanctuary, but you will find most of them around the waters and roads of Sanctuary. 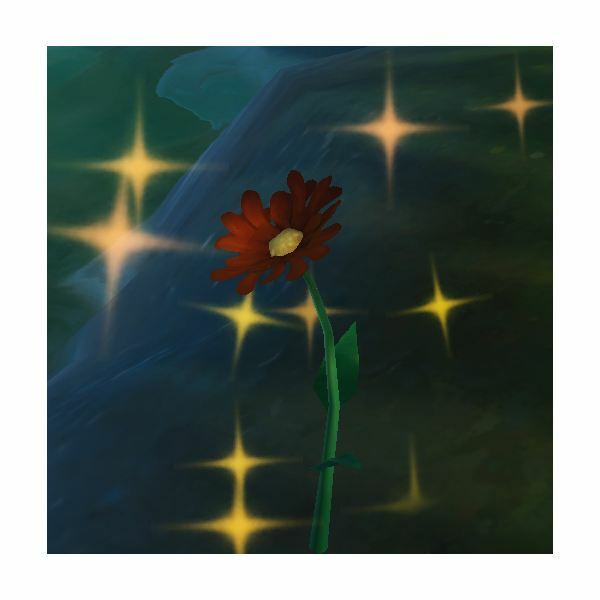 Collect fifteen of these lilies, and then bring them to Doctor Gordon in Sanctuary. Doctor Gordon will thank you, and send you back to Geoffery. Pleased with your hard work so far, Geoffery will reward you, and then give you the quest Good Help is Hard to Find. Before you leave the palace, Frolic Steadywings will ask for your help finding his missing granddaughter, Bonny. 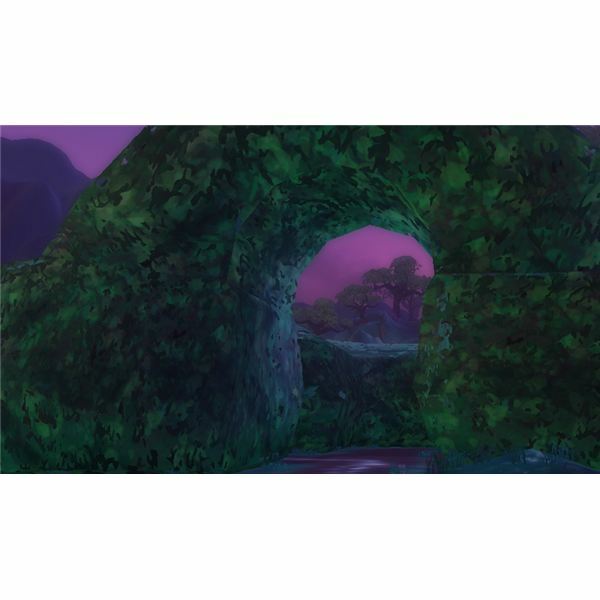 Your quest path will lead you to her; Bonny can be found along the western water's edge of the Sanctuary moat. Bonny will realize she didn't know what time it is, and agree to head back. Return to Frolic for your reward. Geoffery, realizing your talent, sends you to speak with General Glowlight in Sanctuary. It appears that the General has lost one of his patrols recently, and needs your help finding the four guards. Guard Glibbin is just east of the Sanctuary Warpstone. Up a hill to the south-east, you'll find Guard Forbi. Across the road to the west is Guard Nibbs, and Guard Verbi is to the north-west of Nibbs, between two of the fields. You might be surprised to find that the Royal Guards have a lack of discipline: in fact, Guard Verbi mentions they seem to let anyone in these days. And what was that about the other princess poisoning her parents? Once you've found all the guards, return to Geoffery in the Royal Palace, who excuses the patrol as the least useful guard members that Sanctuary has. Geoffery will then see if you'd like to help the chugawug. 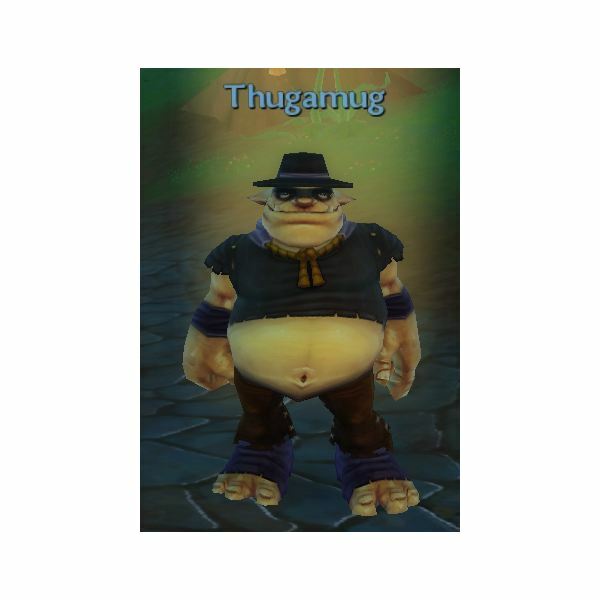 Should you accept, he will give you the quest Thugamug's Thievery. Geoffery will tell you of a trouble-causing chugawug in the south-eastern forests named Thugamug. He explains that Thugamug has two "Hands," or minions, who help him do his dirty work, and asks you to defeat both "Hands" and Thugamug for the good of the friendly chugawugs. Once you find and defeat Thugamug and his two henchmen, return to Geoffery. Once again, he'll laud your heroism, and then ask you for another task, giving you the quest Rumors of Briarwood. Before leaving the Royal Palace to find Thugamug, speak with Trusty. He'll ask you to deliver a letter to Lugabow in the Greenwood Chugawug Camp. The camp is far west of the Lavender Coast Warpstone. Lugabow will accept the letter and give you your reward. If you haven't yet trained the Archer job, Lugabow can also help you with that while you're here. Your first task to scout out Briarwood is to visit the entrance of the Hedge Maze, just east of the Briarwood Warpstone. When you arrive, you'll be prompted to talk to Freidi, who warns you of an evil druid named Darkthorne. Next, walk through the maze (if you get lost easily, just follow the stone path on the right) and arrive at the north-east exit to scout there. There, you'll speak with Private Spano, who also warns you of the Lady Darkthorne. Then scoot over to the north-west exit and talk with Private Grimble. Take all the information you've learned back to Geoffery. He doesn't seem to like the information you bring him, and will give you the quest Shrouded History. Curious about Darkthorne's past, Geoffery sends you to the Shrouded Glade, to see if you can find more information about her. Speak with Arestol, who will give you some insight into Darkthorne's past as a druidess in training. When you've learned all that Arestol will tell you, return to Geoffery. Suspicious, Geoffery will give you the quest The Forgotten Princess. Before you leave the palace for Shrouded Glade, talk to Roxana. She was supposed to pick up the book "How to Clean," but forgot. She asks you to fetch the book for her from Tilda Timidleaf in Shrouded Glade. Tilda will hand it over with no problem, and you can return it to Roxana for your reward. Too bad Roxana doesn't read! Nomi – on the south end of the bridge leading to the palace. 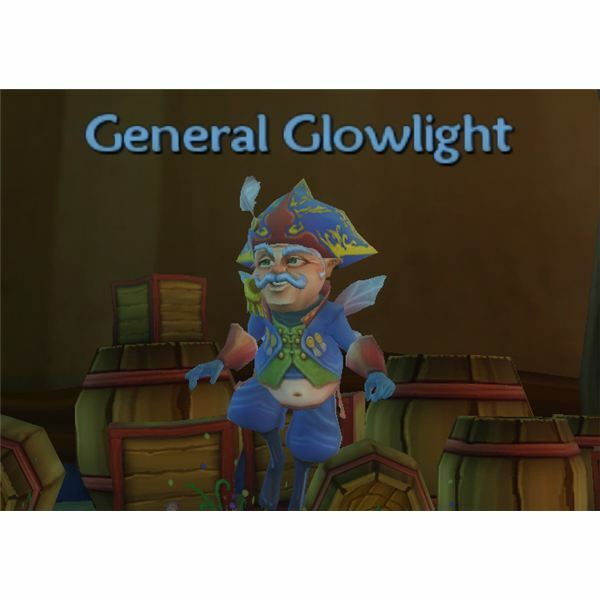 General Glowlight – southwest island. Sir Whittington – east island. Return to Geoffery. Although Sir Whittington suggested Geoffery should know something about Darkthorne, Geoffery seems to dodge the question. Instead, he'll give you the quest Find the Caravan!. Important Note: From this quest onward, all quests are members-only. Concerned about a caravan that was sent to Briarwood, Geoffery sends you to go find the merchants, hoping that things aren't already turned for the worse. The caravan is just west of the Briarwood Warpstone on the road. Unfortunately, you've arrived too late. The chugawugs have stolen a weapon shipment, armor shipment, and a small wooden box. Don't worry though – you're going to play the hero and get them back! 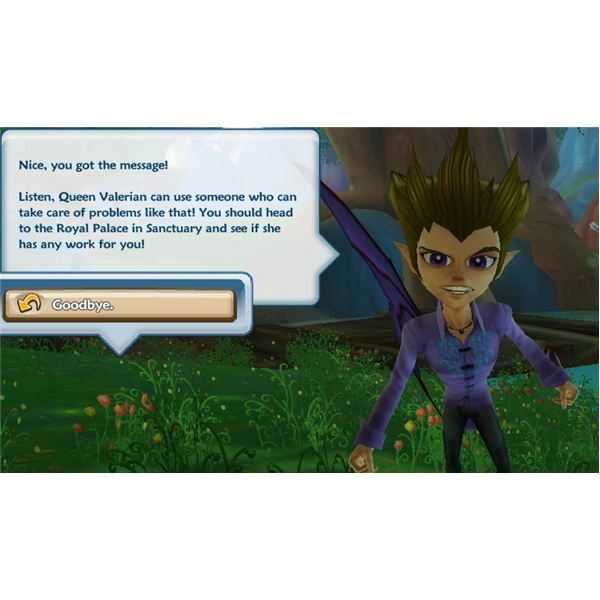 Talk with Vittorio at the Caravan to receive the quest The Weapon Shipment. First, you need to retrieve the weapon shipment. Sergeant Cargug is the culprit who stole this shipment, and apparently headed deep into Nettleseed (the far back area of Briarwood.) You'll find the Sergeant just north of the Bristlewood Warpstone. 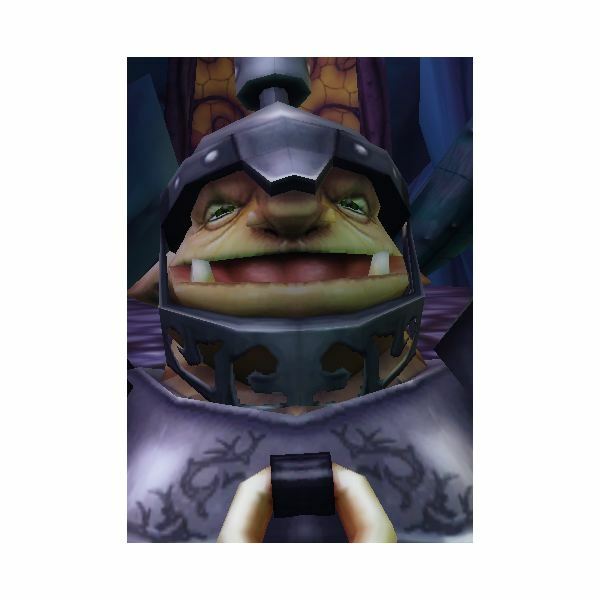 Sergeant Cargug will agree to give you the shipment back, if you take a letter and box of chocolates to his wife Mumpalot in Wugachug. Complete the quick delivery, and Cargug will give you the weapons. Return to Vittorio, who will have you look next for the armor shipment. The Quartermaster will insist that the armor can't be released until it's fully tested, and will ask for your help testing it. Nearby, there is a Hack n' Slash minigame that will have you hack at the armor to test its strength. By the time you're done, there's not much of the armor left, and that's exactly what Quartermaster Bargangle lets you take back to the caravan. Only the small wooden box remains to retrieve. Lieutenant Snibug has the small wooden box, says Vittorio, and it's crucial that you get that box back. You'll find Snibug north east of Sergeant Cargug, just outside the Tanglewood Fort. The Lieutenant will inform you that the box is already in Darkthorn's possession, but he may pull some strings for you – if you help him first. Agree, and Lieutenant Snibug will give you the quest There's Fungus Among Us. Briarwood is apparently a dangerous place – if you couldn't tell by looking around. Snibug asks you to go to the Mushroom Cavern and defeat 15 Fungus Golems. Head north and you'll find the cavern. This is a medium length instance with lots of enemies to fight, so be prepared for a bit of a battle. When you're done, return to Lieutenant Snibug. You have another task to complete, and Snibug will give you the quest It's Business Time. Lieutenant Snibug wants your help defeating Amaranthus, an old and dangerous floren. You can find Amaranthus in the Bristlewood Glade, along the northwest edge of Briarwood. This is a medium instance, and once you're done, Snibug will have one more task for you in the form of the quest Pampered Pets. When you're all done, Snibug will agree to let you through, and suggests you can get the box back if you talk to Captain Chugug. 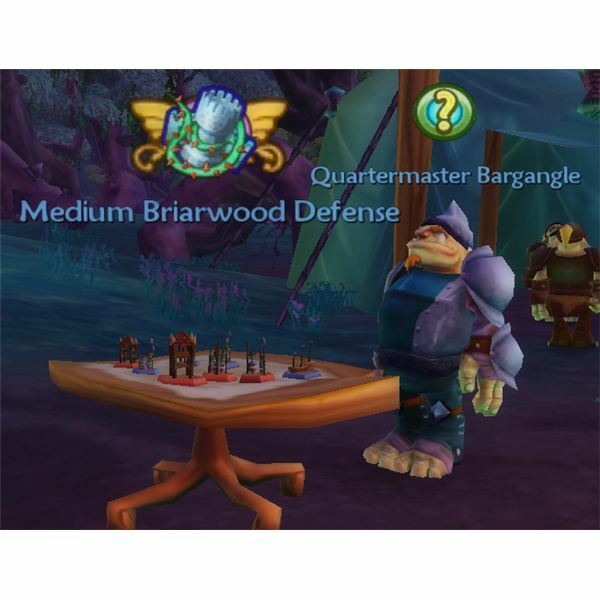 Captain Chugug is up at the Briarwood Palace, on the other side of Tanglewood Fort. If you haven't been through yet and don't have the Briarheart warpstone unlocked, you'll have to go through the Tanglewood Fort instance first – alternatively, you can have someone give you a friendly teleport to the other side. No matter how you get there, Captain Chugug is right by the warpstone. He seems happy to help, and gives you the box – empty. Well, Vittorio never said explicitly we needed the contents of the box, right? Return to Vittorio, and he seems really worried. Not just worried, he's going to force you to go back and tell Geoffery the news – and also lets you know that his caravan isn't a bunch of merchants, they were planning sabatoge and assassination! When you arrive at the Sanctuary Palace, before you even talk to Geoffery, you know something is wrong. The usually bright and cheery Queen Valerian is hunched over, looking rather ill.
Geoffery seems shocked when he finds out Darkthorne took the contents of that small wooden box. In fact, he's rather angry, and begins threatening Vittorio and you! In no uncertain terms, Geoffery tells you that failure is not an option – you are to get that box back by whatever means necessary. With his harsh warning in mind, return to Briarheart, and talk to Captain Chugug. It seems he – and Darkthorne – were expecting your arrival. You're ushered inside, and Darkthorne says that time is running short. After convincing Darkthorne you can be trusted, she will send you to Eggert to identify a plant. Upon warping to Blackspore, head north east, and you'll be prompted to talk to Eggert's assistant Milford. Milford will tell you that Eggert's wandered down to the graveyard; head south past the wall, and begin looking around the graveyard for signs of the alchemist. You'll end up finding him along the south east, trapped by a grave elemental. Head to battle to save Eggert. It looks like the group from the caravan were on your trail, and wanted to intercept what you were carrying. 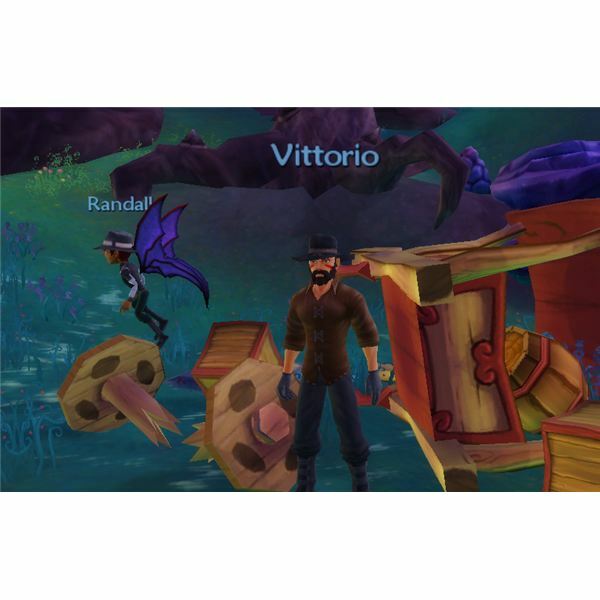 Turn around and chase down Vittorio's gang and defeat them in battle. This is a very hard battle, and you may want a group, or have a job at level 20. 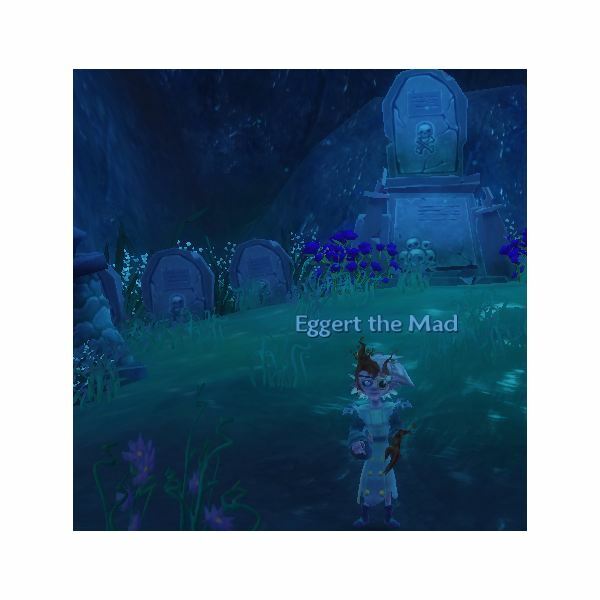 Return to Eggert, who will identify the contents of the box – and you'll realize that a sharply dressed pixie may have been up to the death of the last King and Queen of Sanctuary. If you've put all the clues together, you'll know where this is headed. Return to Darkthorne with the information you've gotten from Eggert. She'll put together the pieces for you – yes, Darkthorne is really Princess Lavender, exiled for killing her parents. But she was framed by Geoffery, who was behind the plot all along. And now, he wants to bring the people of Sanctuary to war against Briarwood. Your mission is clear. Darkthorne gives you an antitode to deliver to Queen Valerian. When you return to Sanctuary, it's swarming with guards. It's time to confront Geoffery. This is a very hard encounter, almost impossible to solo, so look for a group before entering, and bring a lot of potions. Congratulations! You've averted a war, saved the Queen's life, and brought peace to Free Realms. At least, until Chapter 2. . .
All screenshots and references from "Free Realms." Free Realms Postman Guide: Why be a Postman? Free Realms Brawler Guide: Why be a brawler?